Oliver James works on the politics of public services, citizen-provider relationships, public sector organisation and reform, executive politics (particularly politician-administrator relations) and regulation of publicly owned and/or funded bodies and services. He uses a range of methods including survey and field experiments. 1) The role of performance information about public services (eg provided about local governments, schools, hospitals) in citizens and service users' perceptions of services, political voice and service choice. Use of performance information in systems to improve service quality and responsiveness, issues of information presentation and source credibility, and the debiasing of information processing and use. 2) Field and survey experiments as methods in public management research, including the book Experiments in Public Management Research (eds: Oliver James, Sebastian Jilke, Gregg Van Ryzin, Cambridge University Press 2017).See admin.cambridge.org/gb/academic/subjects/management/management-general-interest/experiments-public-management-research-challenges-and-contributions. 3) The implications of policy trends and changes on government organisation and capacity, including the implications of different forms of Brexit for the UK state's competence and capacity. This interest builds on previous research on structural change within public organisations as part of the ESRC funded 'Structure and Organisation of Government' project (socialsciences.exeter.ac.uk/politics/research/projects/structureandorganisationofgovernment/) and work on the causes and effects of public management leadership change on organisational performance, including the ESRC chief executive succession project outlined below. Short Bio: Following his undergraduate BA in Philosophy, Politics and Economics at St Anne's College, University of Oxford he completed his MSc (with Distinction) and PhD in the Department of Government at the London School of Economics, University of London. He has held academic posts at LSE (lecturer) and at Exeter (lecturer, senior lecturer and reader). He has also worked in HM Treasury on an academic placement and with bodies including the World Bank, OECD, UK National Audit Office and Audit Commission. He supervises several PhD students and teaches courses on the Exeter MPA programme, runs methods courses and teaches about the politics of public services. Grant funded research: The project on the ‘Structure and Organisation of Government’ in the UK (2014-17) is supported by £320K (approx.) from the ESRC following a competition under the European Open Research Area. The Project analyses the political logic of government reorganisation and response/lack of response to policy challenges including case studies of climate change/environmental disruption and financial regulation. Building on the findings, the implications of changes under different Brexit scenarios are currently being assessed. Prof. James is working with two Research Fellows at Exeter and in collaboration with researchers in the Netherlands, France and Germany. A previous ESRC funded project assessed leadership succession effects on organisational policy and performance (Grant RES062232471: Chief Executive Succession and the Performance of Central Government Agencies £215K Oct 2010-Sept 2013), Related work was conducted as part of a joint EU FP7 Project 'COCOPS: Co-ordinating for Cohesion in the Public Sector of the Future' (2011-14). 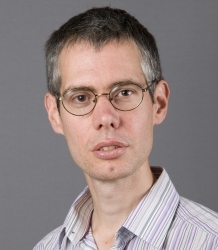 Prof James conducted several projects as part of the ESRC Public Services Programme, including the project 'Standards of Evidence for Assessing Public Service Performance' (Grant RES153270014). Edited books: James, O., Jilke, S. R., & Van Ryzin, G. G. (Eds.). (2017). Experiments in public management research: Challenges and contributions. Cambridge University Press. James, O., & Van Ryzin, G. G. (2016). Motivated reasoning about public performance: An experimental study of how citizens judge the affordable care act. Journal of Public Administration Research and Theory, 27(1), 197-209. James, O., Jilke, S., Petersen, C. and Van de Walle, S., 2016. Citizens' Blame of Politicians for Public Service Failure: Experimental Evidence about Blame Reduction through Delegation and Contracting. Public Administration Review, 76(1), pp.83-93. James, O. and Moseley, A. 2014. ‘Does performance information about public services affect citizens' perceptions, satisfaction, and voice behaviour? Field experiments with absolute and relative performance information’, Public Administration, vol. 92, no. 2, 493-511. Boyne, G, James, O. John, P , Petrovsky, N. 2012. ‘Party Control, Party Competition and Service Performance’ British Journal of Political Science Vol. 46, pp. 641-660. Published online first 21 Feb 2012. James, O. 2011. 'Performance Measures and Democracy: Information Effects on Citizens in Field and Laboratory Experiments', Journal of Public Administration Research and Theory, 21: 399-418. Boyne, G.A., James, O., John, P. ; Petrovsky, N. 2010. ‘Does Public Service Performance Affect Top Management Turnover?’ Journal of Public Administration Research and Theory 20: 261-279. Oliver James conducts research about citizens and public services, public sector organisation -especially the relationshipo between performance and political and managerial leadership), reform to public service provision, executive politics (particularly politician-bureaucrat relations) and regulation of the public sector. See also the publications section for the main research outputs from this work. ESRC funded project 'Chief Executive Succession and the Performance of Central Government Agencies'. (Principal Investigator: Grant RES062232471 £215K Oct 2010 to Sept 2013). The research is an observational study using a panel dataset to estimate the consequences of leadership change for policy and performance outcomes. The project has a special interest in the moderating effects on the consequences of succesion of the match between chief executive experience and organisational 'publicness' characteristics (in terms of funding, ownership and regulation). The interest in management succession, politics and performance is also reflected in an earlier ESRC funded project, 'Leadership Change and Public Services: Reinvigorating Performance or Reinforcing Decline?' (conducted jointly with colleagues at Cardiff and Manchester) that examined the relationships between performance and political and managerial turnover in English local government. This work has recently been published in articles in the Journal of Politics, Public Administration Review, Journal of Public Administration Research and Theory and Public Administration. My research examines the relationship between politics and public services,especially how users and citizens assess and respond to changes in the quality of services, and how elected officials and public managers respond and seek to influence these interactions. This work has included the impact of expectations on satisfaction with public services, whether expectations can or should be managed, and voice and choice based mechanisms for citizens, users and customers to interact with service providers. I was a Research Fellow as part of the UK Economic and Social Research Council's 'Public Services Programme' and another recent project on this topic was 'Public Services: Expectations, Performance and Satisfaction' which explored the relationship between the performance of local public services and satisfaction with those services, and the role of expectations about performance. I have analysed the rise in use and performance of ’executive agencies’ in UK central government and examined the ’New Public Management’ in comparative perspective. My book, ’The Executive Agency Revolution in Whitehall: Public Interest versus Bureau-shaping Perspectives’, (see The Executive Agency Revolution ), assesses the outcomes from the executive agency ’revolution’ in UK government. The book contrasts the official public interest perspective of the ’Next Steps’ reformers (who expected improved economy, efficiency and effectiveness from the use of agencies) with an alternative account building on the ’bureau-shaping’ model of public sector reform. The book anlayses the performance of agencies, including problems of systemic performance (a lack of ’joined-up’ government) and suggests that the UK experience is relevant to countries with similar reforms (eg Special Operating Agencies in Canada, Korean executive agencies, Independent Administrative Institutions in Japan). The main insight of bureau-shaping theory is that public officials’ concerns about their work tasks influence organisational form through thier use of bureau-shaping strategies, particularly the use of contracting and passing on work to other organisations (such as executive agencies). The use of such strategies has major consequences for public sector performance which can suffer as a result. Previous projects have developed the regulation framework for use by the pubic sector management division of the World Bank and the UK Audit Commission. More generally, I am involved in the activities of the Public Management Research Association, UK Political Studies Association, Joint University Council Public Administration Committee as the Research Chair (and co-convened the 2002 annual conference), American Political Science Association and European Group for Public Administration. See publications link here for a list of publications with downloads of some papers. A starting point for accessing information on the UK public sector. The organisational index of public bodies is particularly helpful. The UK National Audit Office produces a range of material about the public sector, the value for money (vfm) reports offer a goldmine of information about contemporary organisation and issues around efficiency and effectiveness. The American Political Science Association site, news, reviews and conference material including material on the Public Policy and Public Administration sections of the Association. The American Society for Public Administration site contains news, reviews and information on conferences. Access pint for the International Institute of Administrative Sciences, European Group of Public Administration and International Association of Schools and Institutes of Administration. Oliver James is professor of political science and works on issues in public policy, public administration and regulation. Following his undergraduate BA in Philosophy, Politics and Economics at St Anne's College, University of Oxford he completed his MSc and PhD at the London School of Economics, University of London. His recent publications (some of which are avilable to download) are listed here. Further details of his research are available. As well as his primary interest in academic research and teaching, he works with public sector organisations in the UK and elsewhere, and has acted as a consultant to bodies including the World Bank, OECD, UK Treasury, UK National Audit Office and UK Audit Commission. Formerly, he taught and was a Research Officer at the London School of Economics. PhD Supervision is offered in a broad range of topic areas relating to public policy, public administration or regulation. Suitable topic areas include: public sector organisation, public sector reform, politics and administration, rational choice models (eg bureau-shaping , budget maximising ), New Public Management ( eg internal markets, quasi-markets, contracting out, partnership working, public/private competition), regulation, regulation inside government (including audit, inspection, oversight, Best Value, value for money studies, efficiency studies ), performance measurement in the public sector, performance targets (including Public Service Agreements, executive agency targets ), public sector evaluation, quangos, organisation and reform of international organisations, multi-level governance. Country areas inlcude UK central and local government, European systems (including the European Commission), US Federal and state systems and other OECD country systems. Teaching: currently MA and undergraduate courses including on the MPA amd MRes Politics programmes.